Besides unveiling a whole host of modern Android devices, HMD Global saved some excitement for the tech nostalgia brigade as well. 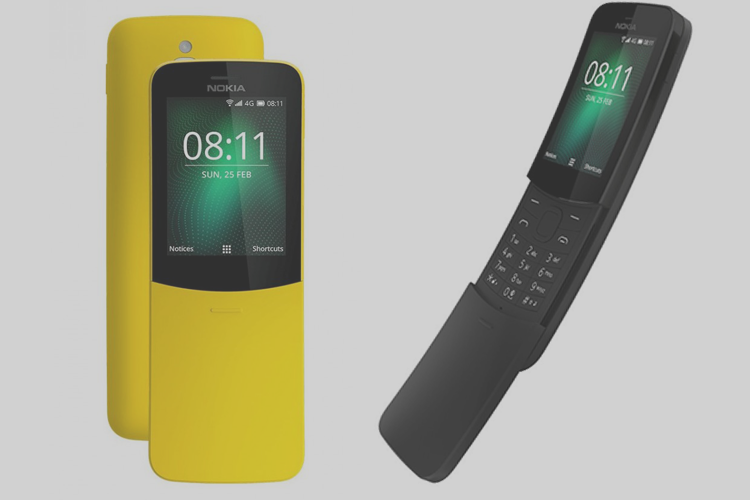 The company announced a new version of the iconic Nokia 8110 4G, completed with 4G connectivity and specialized apps, at MWC 2018. You may remember the Nokia 8110 as the phone seen in The Matrix, and used by Keanu Reeves’ Neo. The distinctive curved shape, the snap of its cover and the classic look made it an instant hit in the market. Last year, HMD remade the classic Nokia 3310, so naturally this time it had to bring out a new version of one of its other iconic phones. The Nokia 8110 will come in either black or yellow, which is a tongue-in-cheek reference to the banana phone moniker the original had picked up. The 8110 will run an operating system known as Kai OS, with Google and Facebook working on apps for the feature phone. The price of the 4G device is expected to be around $100, which is a steep price to pay for nostalgia. “Nokia had these very iconic design legends and different people remember the 8110 for different reasons — but, certainly it’s a lot about that emotional factor. But, actually it is also in Western markets, it’s more as a lifestyle secondary phone and bringing it with 4G and Wi-Fi and some key apps people use everyday, it can now be a true secondary device. But in some of the emerging markets, it is still a primary device,” Florian Seiche, CEO of HMD Global, told CNBC. The 8110 4G has support for VoLTE calls and for Wi-Fi hotspots, plus it features an ample 1,500mAh battery that is rated to last over 9 hours for VoLTE calls, and for 48 hours of music playback. HMD will be launching single and dual-SIM variants of this phone.